Kilmarnock vs Forfar, upset on the cards? 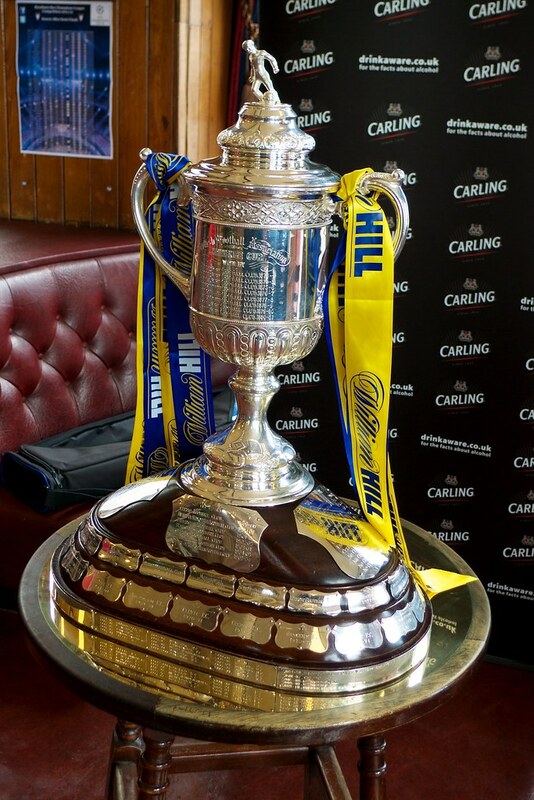 League One promotion hopefuls Forfar Athletic will be looking to cause a Scottish Cup upset as they travel to Ayrshire to face Kilmarnock this weekend. The away side, who currently sit 4th in Scottish League One will be hoping to take advantage of any complacency within the Killie camp as the teams prepare for the clash at 3pm on Saturday at Rugby Park. The Loons, managed by Jim Weir, will go into the game in high spirits on the back of their home victory over Stranraer at the weekend. Goals from Dale Hilson and top goalscorer John Baird set them on their way to three points as they continued their push for promotion to the Championship. As for Kilmarnock, they will be going into the game on the back of a winter break for the country’s top flight. Their last game being against St.Mirren at Rugby Park where they ran out 2-1 winners on December 29th. Forfar will be looking hoping to capitalise on any signs of rustiness within the Kilmarnock ranks as they look to cause a shock with anything other than a home win expected. The two sides haven’t faced each other in a competitive fixture since the 1991/92 season, when they were both in the Scottish first division together. Kilmarnock ran out 2-0 winners that day, as they picked up three victories and a draw from four meetings that campaign. You have to go back to the 1987/88 league season for the last time Forfar defeated Kilmarnock in a competitive game, the away side will be hoping for a similar outcome as they travel to the Premiership’s title hopefuls. “It was a very important victory for us ahead of the Kilmarnock match! We remain in the play-off positions and with the league being as close as it is, we are pleased to keep winning. “All the boys are looking forward to the game on Saturday and are confident to go there and get something out of the game and hopefully play some good football. There is no pressure on us as Kilmarnock are clear favourites so we will go out and enjoy the experience”. “Of course, as much as we going there to enjoy the Scottish Cup match and play in front of a good crowd hopefully, we believe we can cause an upset! “I think it will be a huge step up, BSC Glasgow was a case of a lot of possession and trying to break down the opponents who sat back. The expectation is that Kilmarnock will have most possession so we will need to take our chances if that is the case”. With Kilmarnock being clear favourites for the game, it is expected that changes could be made by manager Steve Clarke, giving fringe players the opportunity to impress. “I’m all for giving youth a chance, and on paper Saturday’s game against Forfar would be a great opportunity for certain promising youth/fringe players to show what they can. “One or two changes to the starting line-up I think would be realistic. It is a game for me Greg Kiltie has got to start. Kiltie a few seasons back was deemed a £1 million player coming through the ranks and breaking through into the first team, but injury after injury has limited his chances under Clarke. “I reckon youngster Ross Millen will start the game, Millen has been patient since signing a short-term deal in the summer, but performing impressively with the reserves. He has only been limited to two appearances this season but has shown he is more than willing to take his chance, standing in for Stephen O’Donnell and scoring the winner against Hearts at Tynecastle”. There's still time to grab your tickets for our @ScottishCup tie v @ForfarAthletic next Saturday, January 19 at Rugby Park. Previous Previous post: On this day: Did Strachan appointment benefit Scotland?